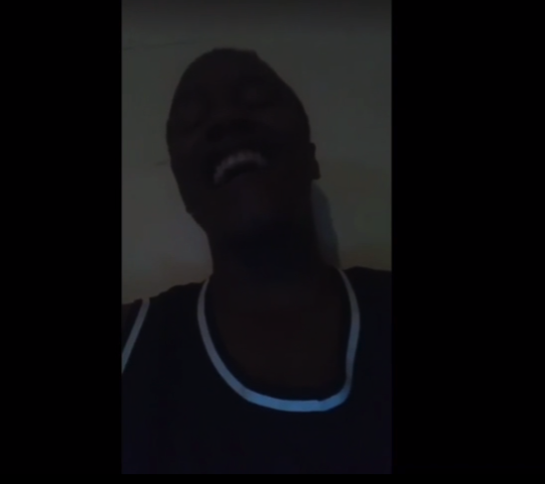 A disturbing video has emerged showing a man bragging about having HIV as well as claiming that he infected his estranged girlfriend with the deadly virus. The 23-year-old man from Savannah, Georgia went live to brag about it. ‘The b*tch is nasty. The b*tch might even have HIV, I’m going to be real with the b*tch. I’ve been messing with tha b*tch every day, knowing that I’m HIV positive. I don’t give a f*ck about that b*tch. Meanwhile, MTO also alleged that the man is a bisexual and he contracted the virus during a G.ay encounter. 0 Response to "Man Brags About Infecting His Estranged Girlfriend With HIV"